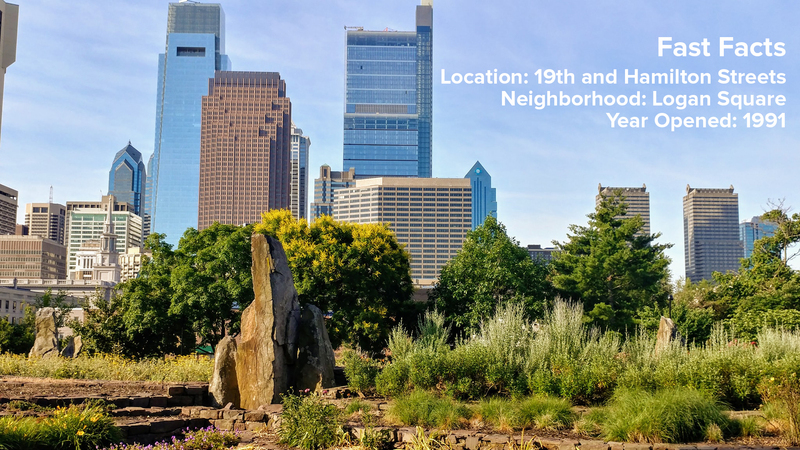 Every month learn about a neighborhood park in Philadelphia and its Park Friends Group as part of a new park profile series on the My Philly Park blog. This month: Matthias Baldwin Park in Logan Square. Matthias Baldwin Park is one of those hidden jewels in Philly. 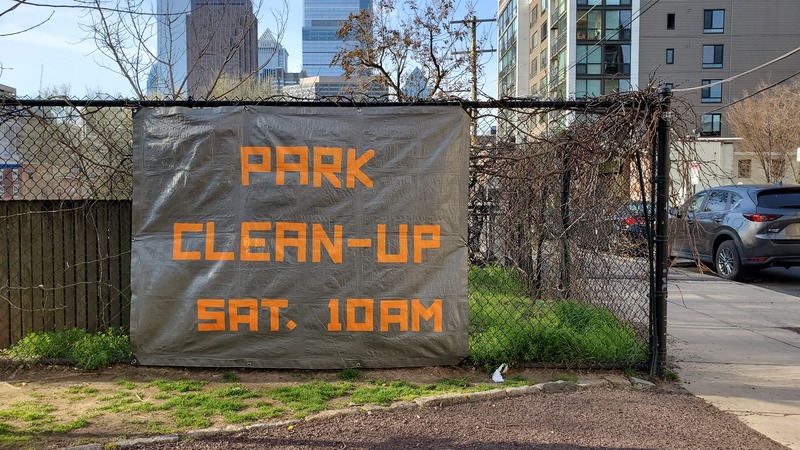 Surrounded by a lush canopy of trees, townhouses, and apartment and condo buildings, stumbling upon this park can be a happy surprise, a welcome getaway in what’s a fast-growing Center City neighborhood. 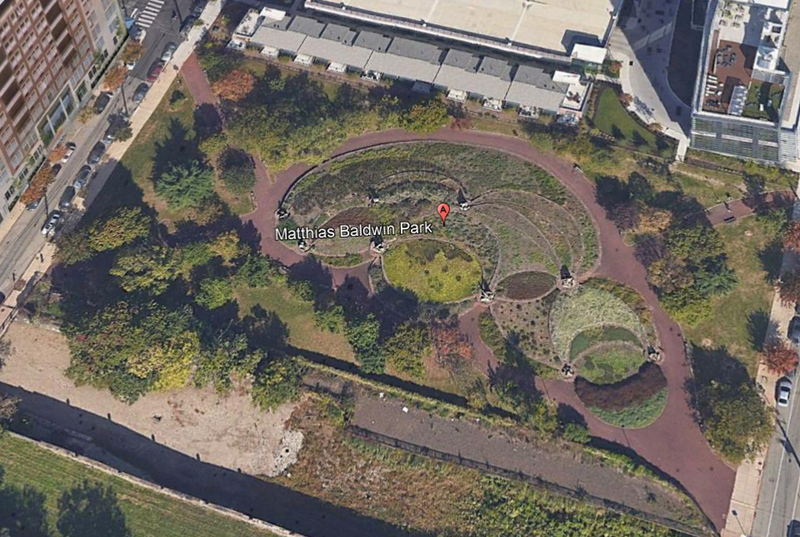 But this two-acre park wasn’t always so hidden. When it officially opened in 1991, its immediate neighbors were parking lots and a defunct rail line. It’s safe to say that Matthias Baldwin Park has withstood the test of time amid the Center City development boom. Matthias Baldwin Park came to be in the early nineties as the Percent for Art component of a proposed, but ill-fated development project. Despite its failure, the plans for the park survived and opened in 1991. 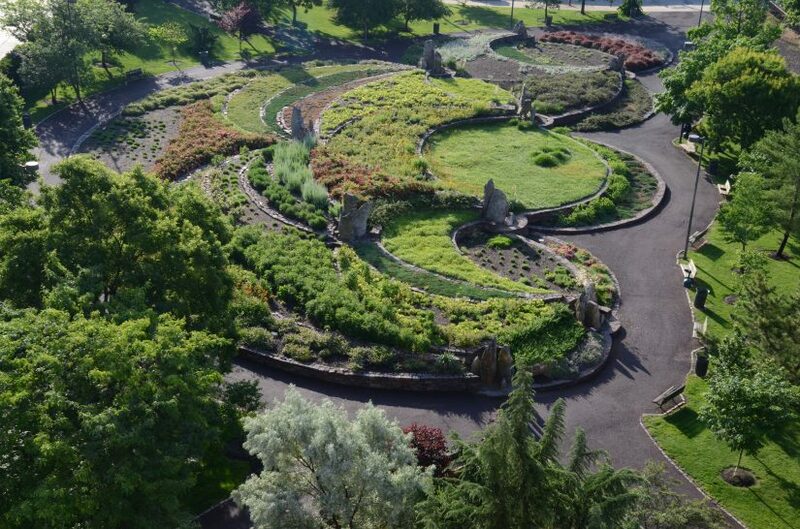 Designed by landscape artist Athena Tacha and called “Connections,” it features a series of terraces that range from 6 inches to 7 feet that are filled with perennials, reedy grasses, and low-maintenance shrubs. 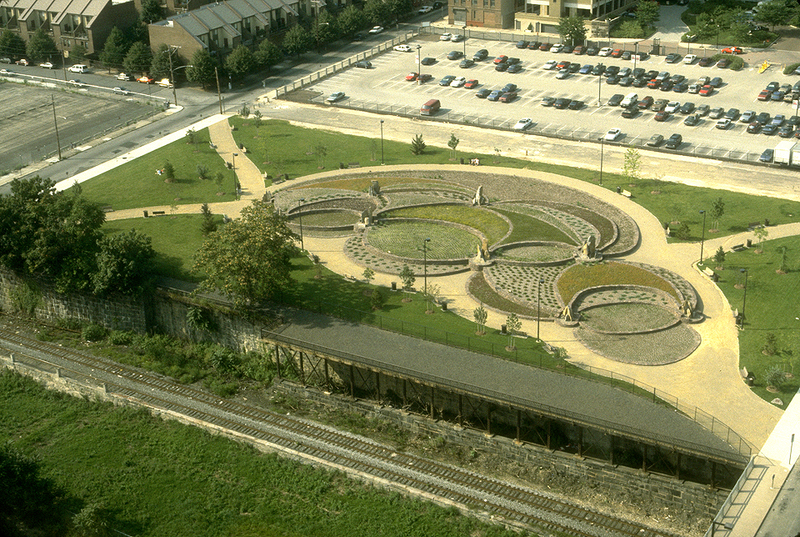 A loop path lined with benches surrounds the terraces, allowing visitors to enjoy a walk through the park or to take a seat and take in the urban meadow. But after the park’s opening, it went without a dedicated group of stewards for more than a decade. 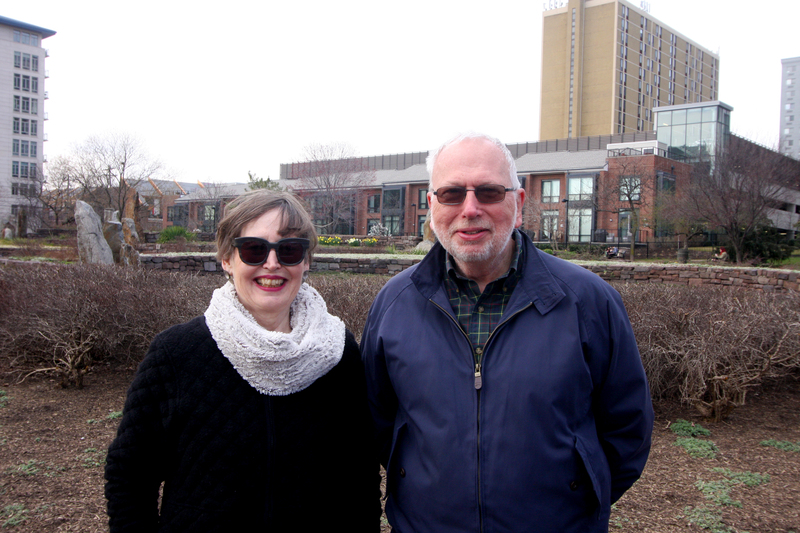 “The park only finished in 1991, but for many years there was no one around to pay any attention to it or appreciate it,” recalls James Fennell, president of Friends of Matthias Baldwin Park. In fact, it wasn’t until 2011 that the park changed its name to honor Baldwin, who was an 18th-century businessman and abolitionist. 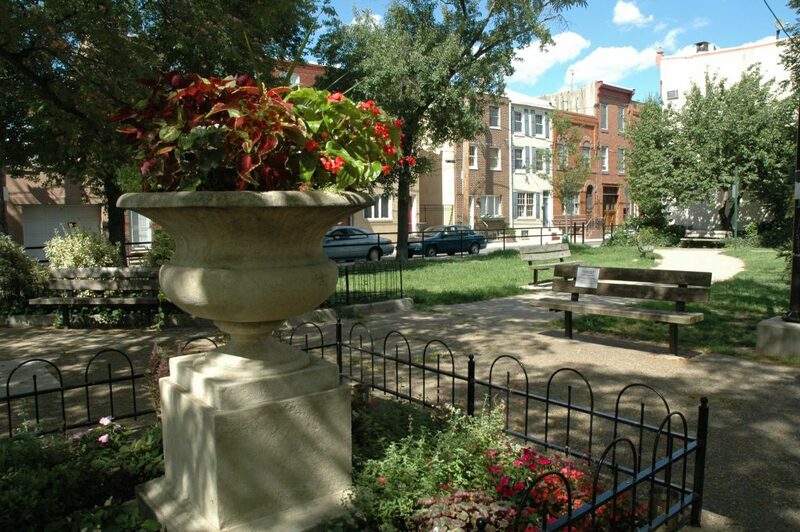 That effort to recognize Baldwin was pushed forth by the Friends of Matthias Baldwin Park, which formed in 2007 as part of the Philadelphia Park Friends Network. Today, the friends group has blossomed to about 60 members. 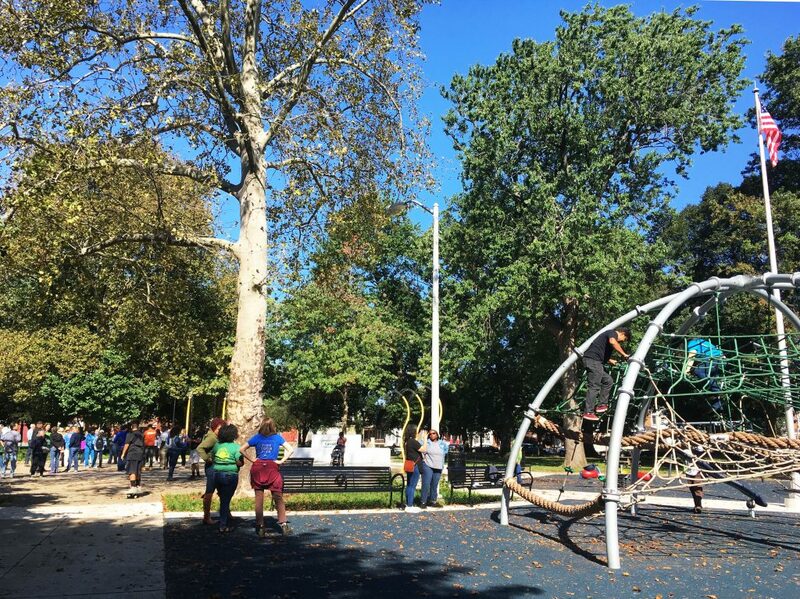 While it still serves as a quiet, green space in the heart of the bustling city, Matthias Baldwin Park is no stranger to events and programming, thanks to the active Friends group. 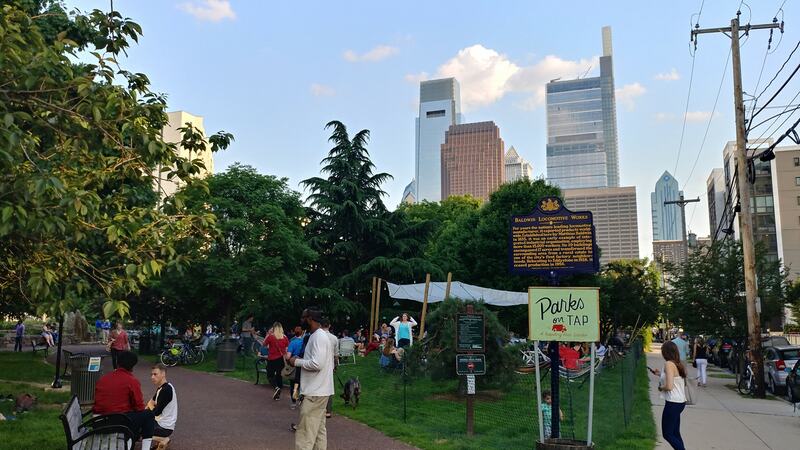 Each year, the park plays host to Parks on Tap, the traveling beer garden that gives back to Philly’s parks. The Friends group used proceeds raised to launch a new website for the park and to purchase more plants for the terraces. 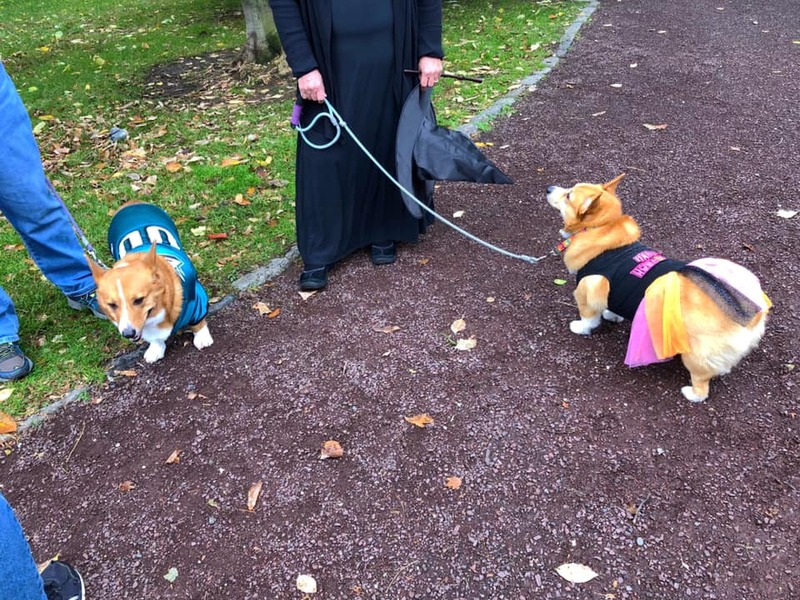 And given the large dog population in the neighborhood, they were inspired by Powers Park in Port Richmond to host their own Howl-o-ween, an annual dog costume parade in the park each October. Today, Matthias Baldwin Park is enjoyed by many, from local college students, seniors, dog walkers, families, and residents of the nearby townhouses, high-rise apartments, and condominiums that have popped up around the neighborhood in recent years. “For 30 years, this was a neighborhood where you went from point A to point B and you didn’t really care about what happened here. Now, we have a very diverse group of people who use the park,” says Owens. She gestures to the dog walkers, people lounging in the grassy areas, and folks passing through on their walk home from work. Lend a hand at Matthias Baldwin’s monthly cleanups. 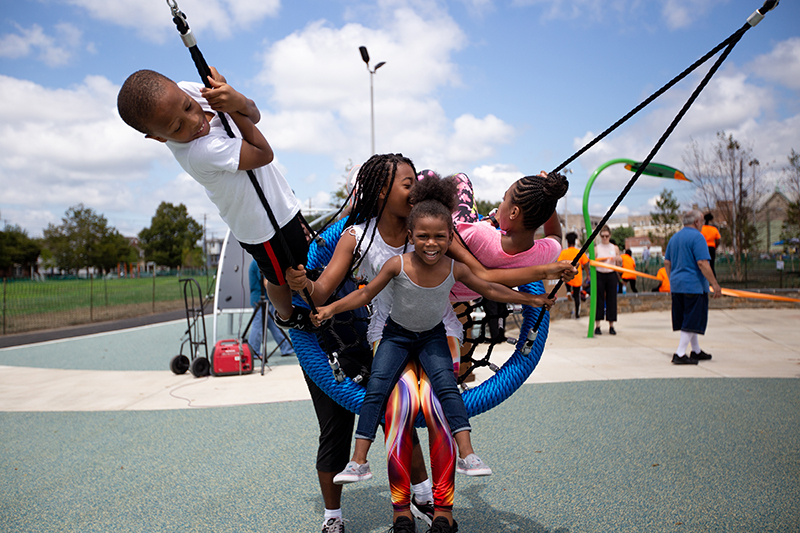 Parks on Tap visits Matthias Baldwin Park from June 26-30, 2019. Member meetings are open to the public, whether a member or not, and held the first Thursday of the month at 7pm in the Tivoli Condominiums community room (1900 Hamilton Street, Philadelphia, PA 19130. Enter on 19th Street).